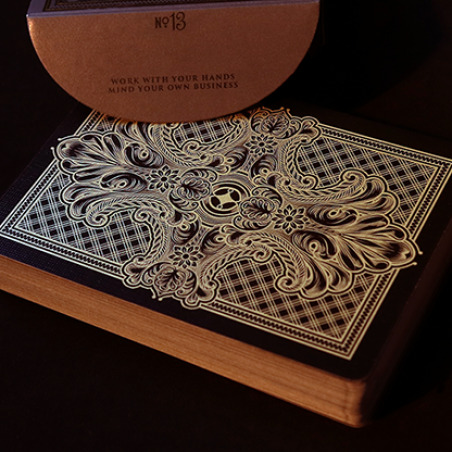 A series of hand-engraved prints and playing cards. An old-world technique of Intaglio printmaking was used on these to create beautiful artwork. 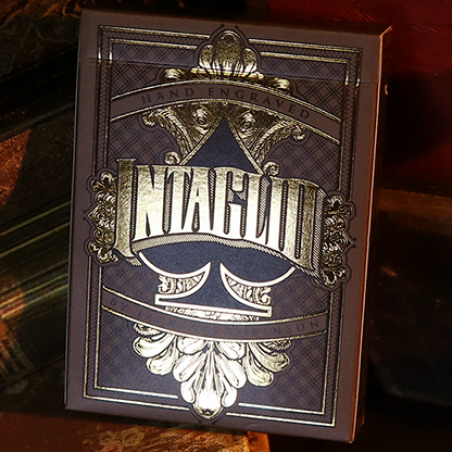 More than just a deck of playing cards. 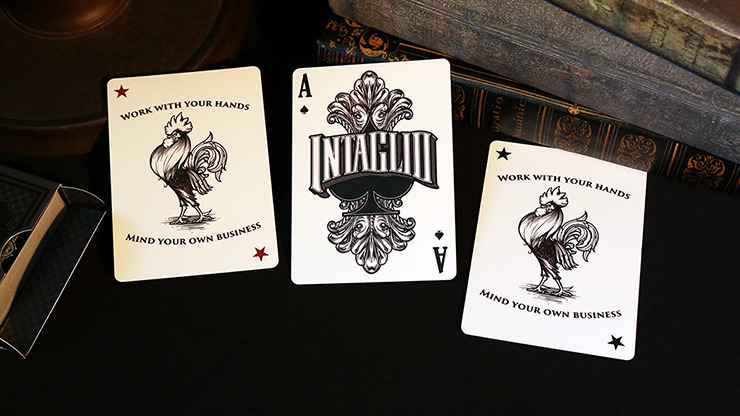 Intaglio is a series of prints and playing cards derived from hand-engraved copper printing plates printed in the traditional Intaglio style. 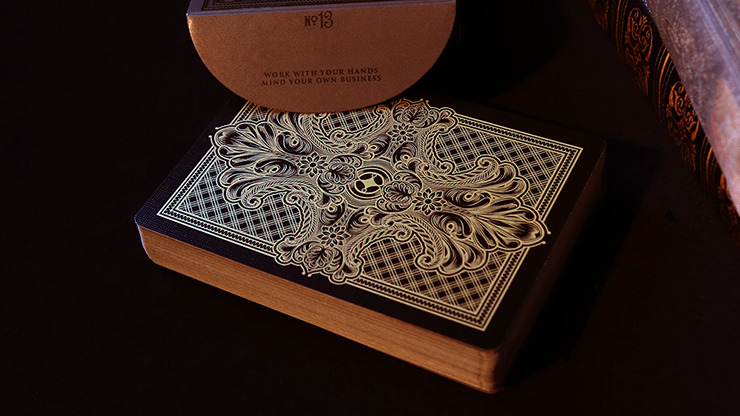 It was produced in a collaboration between Kings Wild Project and Thornwillow Press in New York. 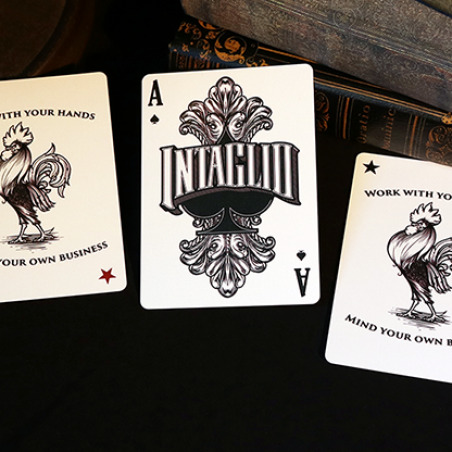 Intaglio printing for playing card art has not been used for centuries. Why has this art style been lost? For this art and printing style to come to life, several factors must exist and come together at the same time. One factor is the skill of the artist. Intaglio engraving takes years of patience and practice in order to become proficient. Another factor is that the equipment is not readily available. And lastly, finding someone with the equipment plus the ability to print them at a high archival quality is near impossible. One can see why attempting a project like this is a monumental task. For me as an artist, the Intaglio project is a realization of a long dream of mine to create a deck of cards by hand engraving the artwork. Over the years, I have designed things by hand drawing or digitally mimicking engraving, but this project is the next step for me as an artist. The reasons for my embarking upon this project are two-fold. One reason is that I have a passion for this beautiful art style. The other reason is that, as an artist, I love the challenge that this offers me to try to accomplish a project such as this. 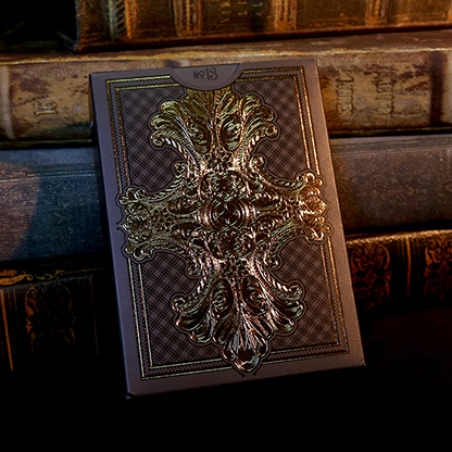 An inspiration for this deck is one of the first decks that made me originally fall in love with playing card design. Titled the "New Era No. 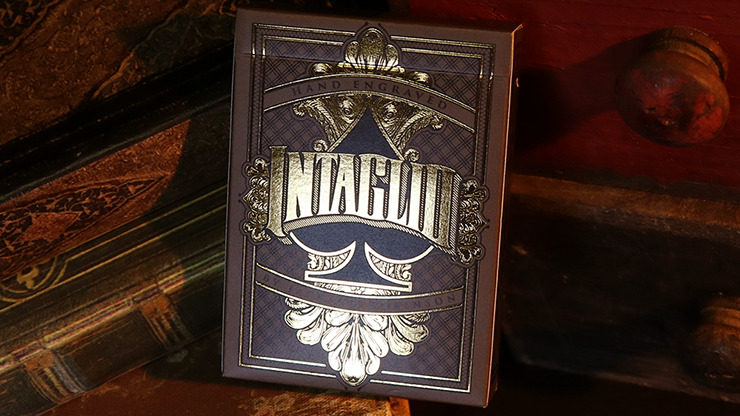 46," it symbolized a new era of beautiful playing card design heading into the 20th century. I have long wanted to use the New Era court set as inspiration and create my own "engraving" style versions of them, and I felt this was the project to do it. The interesting thing about the New Era No. 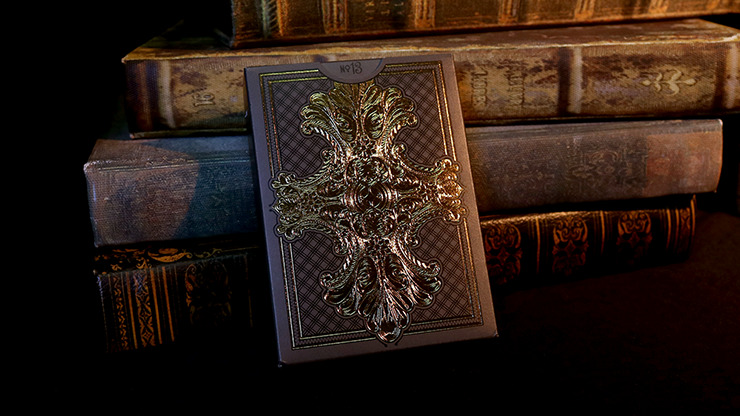 46 deck is that it was published around the same time that the actual printing presses that will be used for the Intaglio project were created. For me, this project, in a way, is a new era. I finally got to pursue the art style of engraving to its physical form.